The Blastrac BMP-215E is electrical powered, perfect for all types of applications. Blastrac scarifiers are designed to be easy to use and maintain, extending the effectiveness of the operator the job without vibrations or stress, the Blastrac BMP-215E scarifier is compact, powerful, and durable. 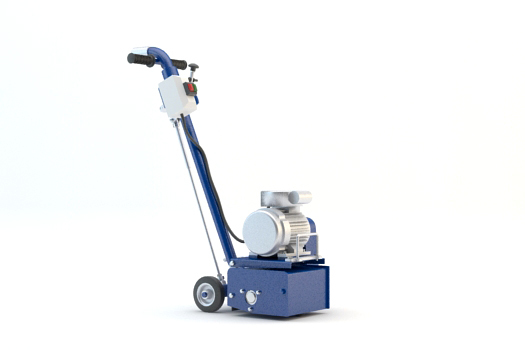 The BMP-215E scarifier is almost dust free when connected to the appropriate Blastrac dust collection system. Blastrac has designed a full range of scarifiers and cutters, which give the opportunity to process any floor and specific application.